Graduate unemployment in South Africa grows at an unprecedented rate each year. New graduates, many with Honours and Masters degrees, struggle to find jobs for reasons cited as their lack of foundational workplace skills. Internships support the transition of new graduates into the workplace and aid the development of foundational skills on which to build their careers. South Africa’s transition to a green economy needs creative and innovative leaders to tackle the complex and interrelated socio-economic and ecological issues and risks facing us today. Across disciplines, graduates come from universities with new and novel ideas of how to respond to the increasing socio-ecological crises we are all caught up in. Law graduates are looking for new ways to ensure environmental rights are not violated. Urban Planners are looking for new ways to design cities for low carbon transport. Economists are trying to better value natural resources, and determine costs and impacts of environmental neglect. These graduates need both the workplace and opportunity to explore some of these new ideas in a real work environment, while at the same time building the foundations of their future careers and increasing their employability. 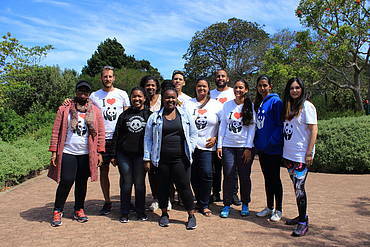 WWF’s Graduate Internships provide a practical and paid bridging experience for new graduates to gain valuable experience and workplace-based training, and connect into professional networks to establish their careers for the environment. 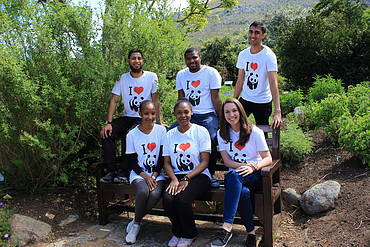 Every two years, WWF recruits a new cohort of Honours and Masters graduates into a structured and mentored 12-18 month internship programme. In addressing skills in high demand, internship positions range from traditional green occupations, like the Park Ranger and Ecologist to emerging areas of specialisation such as the Environmental Economist, Environmental Engineer and the green Architect. Applicants are selected for their specialism, coupled with an expressed commitment to and passion for the environment. Interns are placed with a host organisation and assigned a dedicated and trained mentor. Training workshops help interns to explore and develop workplace-based competences, such as ethics, relationships and communications in the workplace, employee rights and responsibilities, learning through feedback from performance appraisals and finding their next job. From conservation partners to big corporates such as Spar and Nedbank, WWF works with a diverse range of host organisations. 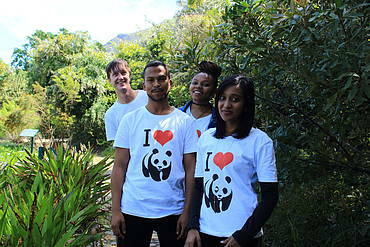 WWF also works closely with all universities in South Africa to promote internship opportunities. 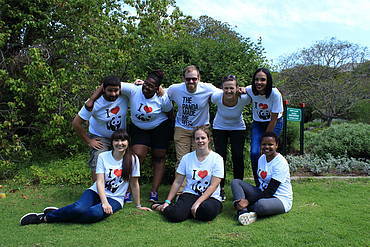 ​The programme responds to both environmental and social policy imperatives in South Africa. Responding to increasing youth employment, it also supports new graduates from multi-disciplines to develop the skills to respond to social and ecological challenges in an interrelated way, for example, sustainable agriculture for increased food security or water stewardship to create green jobs. 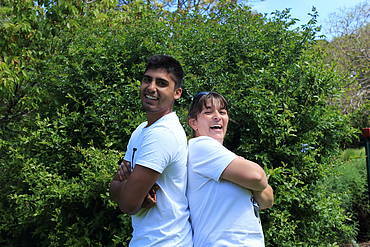 The first seven interns in 2011 were placed with WWF. The second intake of eight interns, included the first placement of an intern with a partner organisation. Seven years later the programme has recruited 50 interns who are placed with 17 partners. 1. The Graduate Internship Programme has a 90% success rate of interns transitioning from the internship into full-time employment. 2. The programme contributes to transforming the workforce for the environment with 66% females and 75% black South Africans supported through the programme. 3. 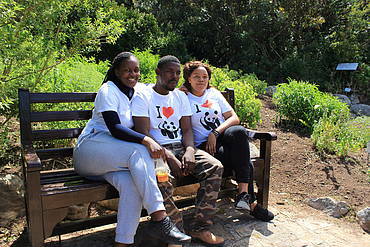 WWF is proud to engage with 80% of South Africa’s universities, to ensure diversity of new entrants working for the environment into the future. 4. 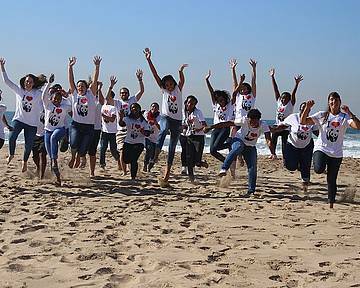 From an initial 7 interns in 2011 to 50 interns in 2017, a total of 128 interns have completed the internship and gone on to meaningfully contribute to environmental leadership in South Africa. 5. 43 committed partners have supported the hosting and mentoring of interns to support the career development journey of young graduates. Please note applications for the 2019 internships are now closed.